I knew they weren't going to be great, but part of me hoped. Mango salsa is the only salsa for me, so I figured I'd try them. They taste slightly sweet, but somehow almost ranch Dorito-y in the aftertaste (I don't know how else to describe it). I was hoping for something a little fresher with some tang and some spice and a touch of salt, but I knew better than to believe. 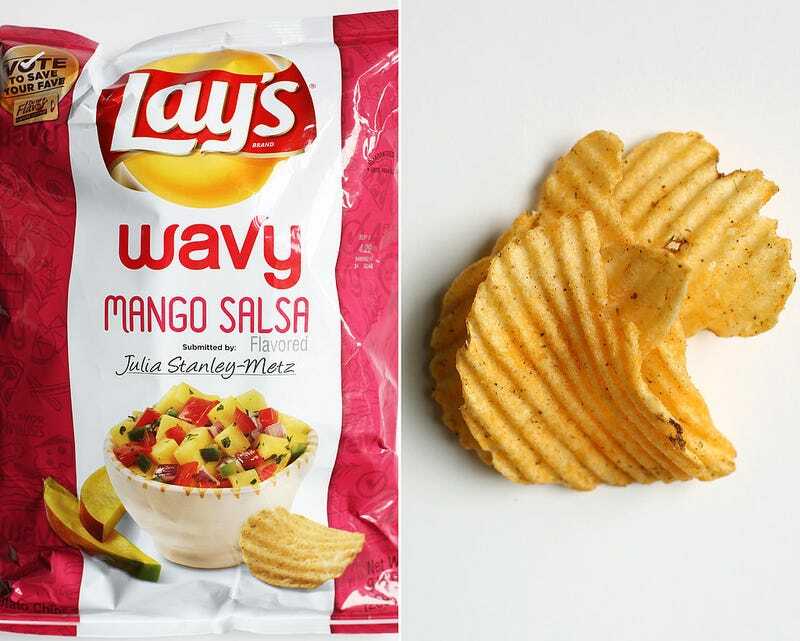 Has anyone else tried the new Lays flavors?